Private Mixon entered service in the summer of 1917. Was attached to Company “H”, 18th Regiment, First Division. 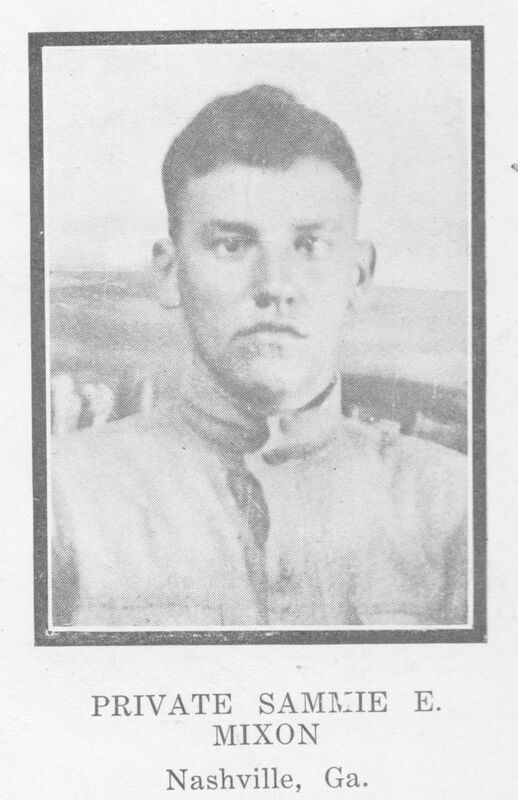 After a brief period of training in local camps, Private Mixon embarked for over-sea service in France, where he died October 9th, 1918, from pneumonia, after having been wounded in action.